The Middle East has always fascinated playwright and screenwriter David Hare (The Hours, The Reader). This fascination grew in the early 2000s, with the construction of the wall that separates Israel and Palestine. Four times as long as the Berlin Wall, this huge, four-billion-dollar palisade was officially erected to protect Israel from attacks from the West Bank. But what have really been the consequences of the construction of this wall on the population of these two territories? 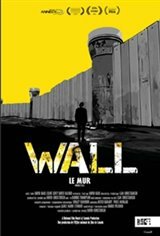 This is what the British writer tries to understand, as the film follows him to Jerusalem, Ramallah and Nablus, to meet Israelis and Palestinians living on either side of the wall.